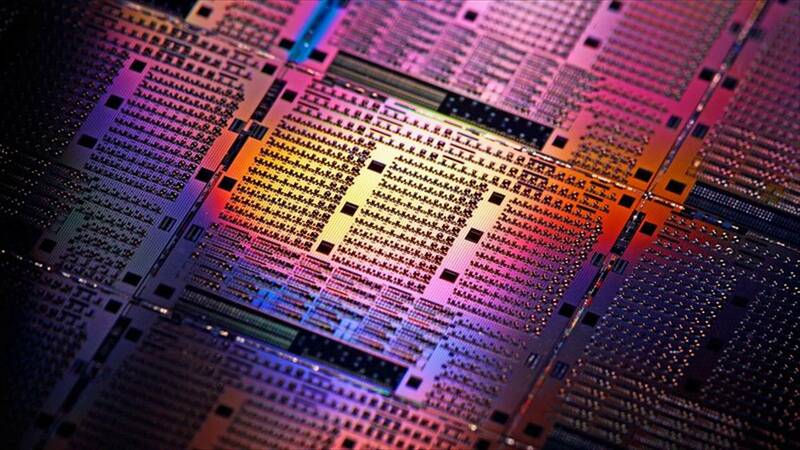 An optical chip uses light to process information, instead of electricity, and can operate as a quantum computing circuit when using single particles of light, known as photons. Data from the chip allows a frame-by-frame reconstruction of atomic motions to create a virtual movie of a molecule's quantum vibrations, which is what lies at the heart of the research published recently in Nature. Bristol physicist Dr Anthony Laing, who led the project, explained: "We can think of the atoms in molecules as being connected by springs. Across the whole molecule, the connected atoms will collectively vibrate, like a complicated dance routine. At a quantum level, the energy of the dance goes up or down in well-defined levels, as if the beat of the music has moved up or down a notch. Each notch represents a quantum of vibration. "Light also comes in quantised packets called photons. Mathematically, a quantum of light is like a quantum of molecular vibration. Using integrated chips, we can control the behaviour of photons very precisely. We can program a photonic chip to mimic the vibrations of a molecule. First author Dr Chris Sparrow, who was a student on the project, spoke of the simulator's versatility: "The chip can be reprogrammed in a few seconds to simulate different molecules. In these experiments we simulated the dynamics of ammonia and a type of formaldehyde, and other more exotic molecules. We simulated a water molecule reaching thermal equilibrium with its environment, and energy transport in a protein fragment. Dr Laing explained the main directions for the future of the research: "Scaling up the simulators to a size where they can provide an advantage over conventional computing methods will likely require error correction or error mitigation techniques. And we want to further develop the sophistication of molecular model that we use as the program for the simulator. Part of this study was to demonstrate techniques that go beyond the standard harmonic approximation of molecular dynamics. We need to push these methods to increase the real-world accuracy of our models. The work is based on Dr Laingâ€™s Fellowship in Quantum Technologies from the Engineering and Physical Sciences Research Council (EP/N003470/1), and his involvement in the European Commissionâ€™s QUCHIP (H2020-FETPROACT-3-2014: quantum simulation). Support is also acknowledged from the European Research Council (ERC). A.N. is grateful for support from the Wilkinson Foundation. J.C. is supported by EU H2020 Marie Sklodowska-Curie grant number 751016. Y.N.J. was supported by NSF grant number DMR-1054020. J.L.Oâ€™B. acknowledges a Royal Society Wolfson Merit Award and a Royal Academy of Engineering Chair in Emerging Technologies. Fellowship support from EPSRC is acknowledged by A.L.